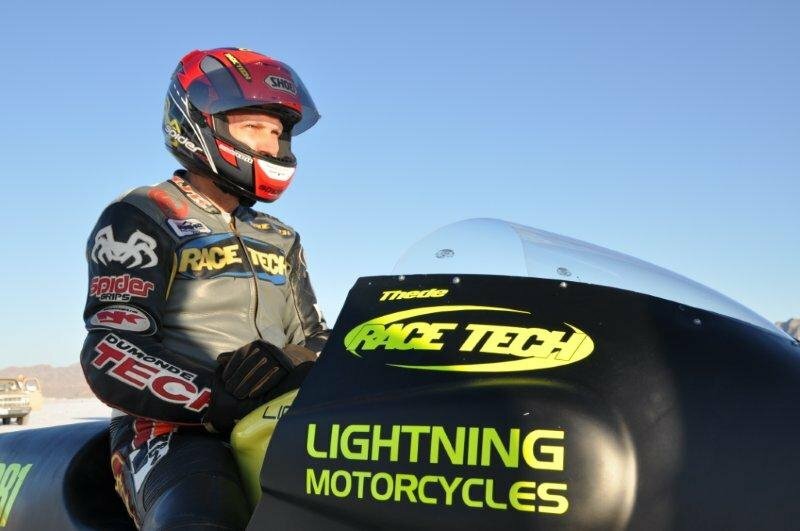 Paul Thede, owner/president, of Race Tech Suspension can claim he is the fastest man in the world on an electric motorcycle after cresting the 200 mph mark when he set a new Land Speed Record of 215.960mph. 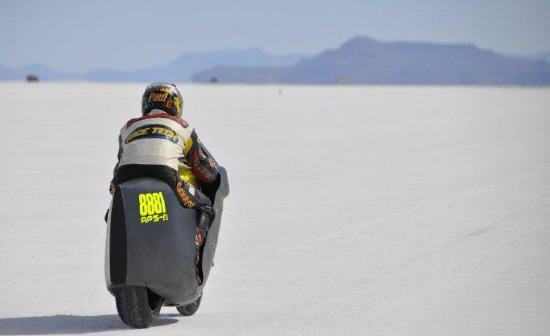 Paul significantly surpassed his previous record of 176.321 mph that he made in 2010. Thede is no stranger to motorcycles. 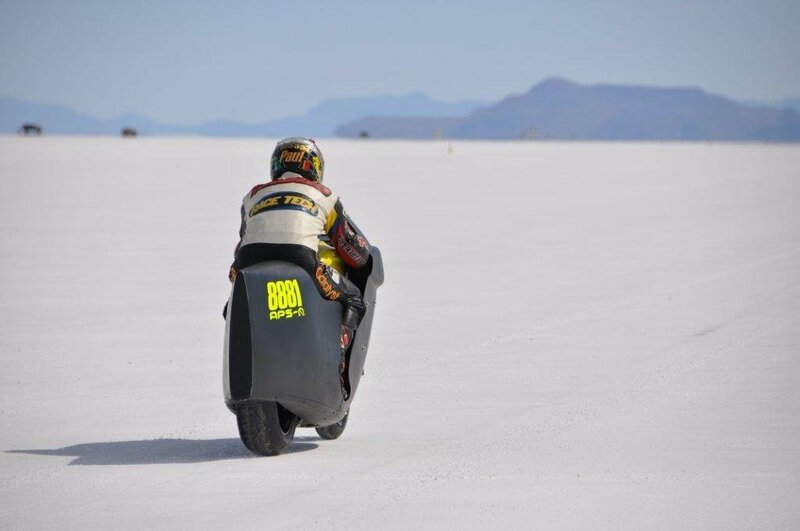 He is a former pro motocross racer, Pikes Peak Hillclimb winner, and has now set 15 land speed records at Bonneville. -Hatfield brought his extensive experience with electric motors to the table and built an incredible motorcycle able to exceed 200 mph. 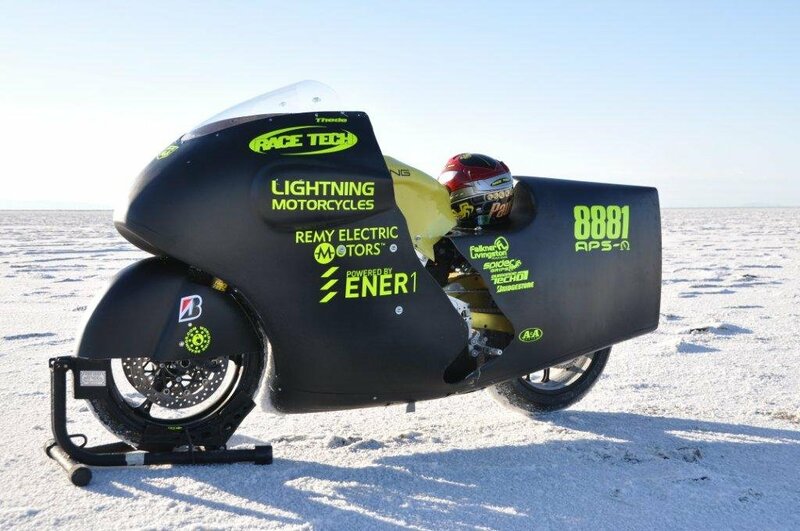 It is his mission to “push electric-motorcycle technology to parity with gas-powered motorcycles.” While accomplishing this goal he still has some work to do; capping 200 mph is certainly a major check-point along the way. 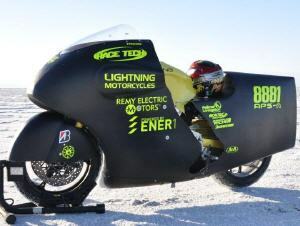 After asking Thede if topping 200 mph this year means that 250 mph will become the goal for next year, he simply replied, “We’ll see what this year brings.” Something tells me he and Richard Hatfield have a bigger plan, and whatever it is, will check another box in electric-powered motorcycle history. MotorcycleUsa.com Recaps the event from start to finish - Read More! Falkner Livingston Racing Covers Paul's Record Setting Run - Read More! 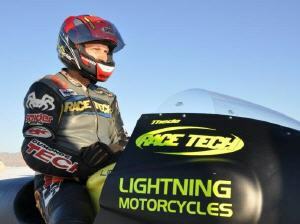 "MyLife@Speed.com" covers Paul's historic accomplishment - Read More!